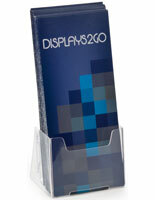 Transparent exterior allows customers to see the literature from a distance. 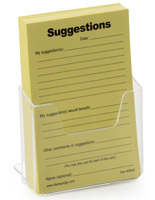 Angled back and cut-out front makes it easy for patrons to take one. 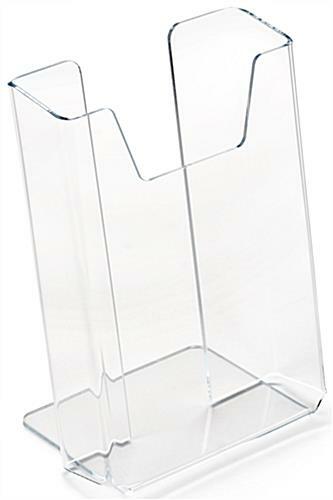 Acrylic material makes the units more durable than mold-injection models. 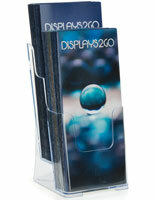 4-1/8"w x 6"h x 1-1/4"d dimensions accommodate standard leaflets. 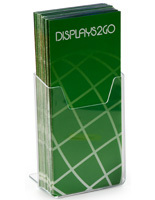 Brochure Holders - This brochure holder is our most popular model! 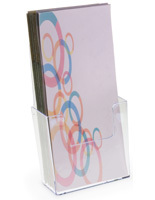 Clear acrylic pocket holds standard 4" x 9" brochures. Always Perfect! 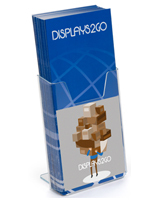 Just what I was looking for, something classy and inviting to display our products. 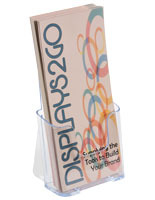 We are never disappointed in your signage holders, and you have many different styles that fit our business needs. 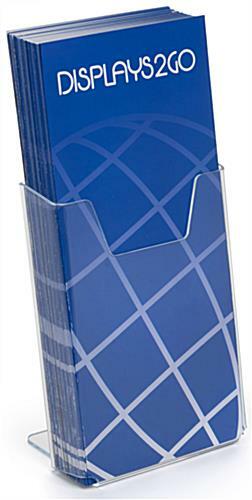 Great Convenience! My order came within days of placing the order. 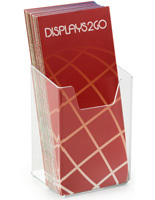 They are the perfect size to hold brochures. I am very pleased with my order. I would recommend it to others. That's wonderful to hear, Connie! Thanks for shopping with us.